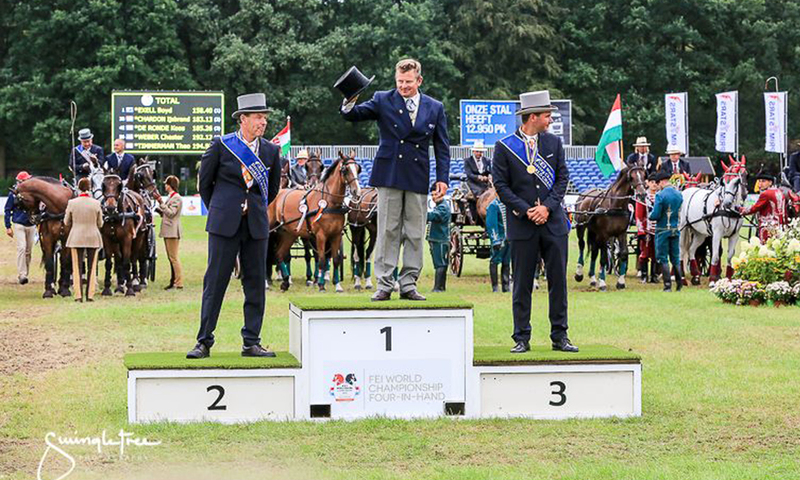 Congratulations to Boyd Exell, FEI World Four-in-Hand Driving Champion for the fourth year running with Nupafeed! Fifty-six drivers from sixteen nations travelled to this year’s Championships held in Breda, Netherlands. Boyd was untouchable, winning all three phases (dressage, cross-country and the cones) including being the only driver clear in the time through the cones. Dutch drivers IJsbrand Chardon and Koos de Ronde took the silver and bronze individual medals and the host Nation the Netherland took the team gold for the fifth consecutive year. Boyd’s current team are fed on BSC SeaBuckthorn and Flex GLM.